Download this file and extract it. 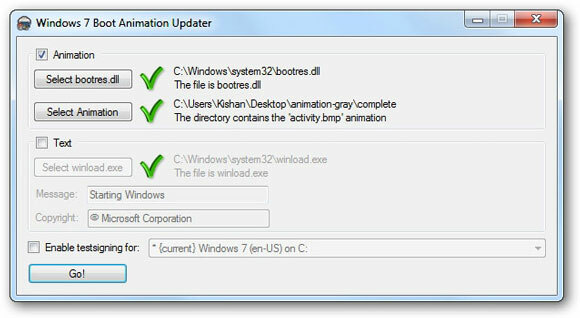 Download Windows 7 Boot Updater and run it as admin. 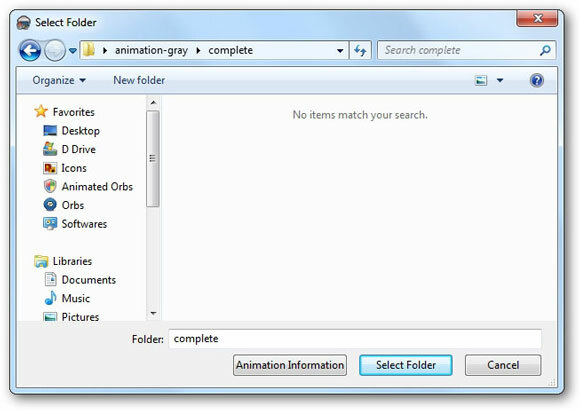 Click Select Animation and browse for the folder which you extracted in Step 1. Click Go!. It will take some time and display a message. 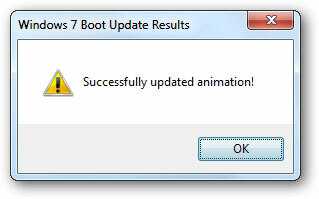 Now restart your PC and check if the animation has been changed successfully. 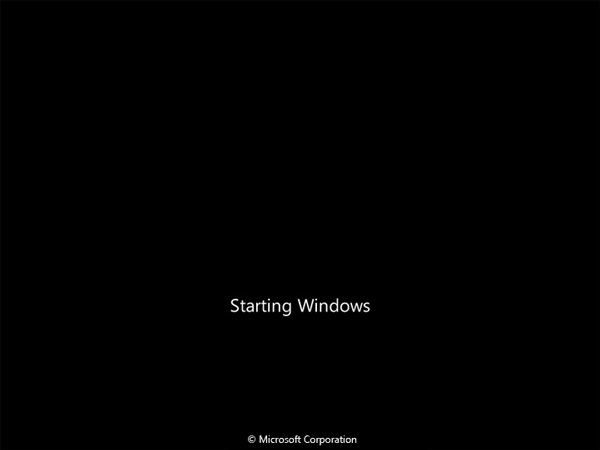 If not, then follow these steps to recover your computer.